Cricket is a constantly evolving game and the magnitude of development or transformation we have witnessed over the last decade and a half is absolutely phenomenal. When the shortest format of the game first came into being, nobody took it seriously. And it seems to have worked in favour of cricket and those who play this format. Taking a broad-level view of how things have changed (not only in T20 but across formats) will stand testimony to that statement. Sky-high strike rates, moving around the crease, clearing the front leg and hitting it out of the park from ball one – these things have become a necessity more than anything else. From reverse sweeps and switch hits to scoops and ramp shots, the art of batting has evolved to such an extent that these outrageous shots (once deemed unthinkable of) are now commonplace. Remember lines like “right out of the coaching manual”? Well, the coaching manual seems to have added a few more pages to it! And it is not restricted to batting. Look at contemporary fielding units and try comparing them with the cricketers of the past – it’s a joke. Sliding saves, tag-team catches and relay throws – it’s all happening and how. Cricketers’ fitness levels, too, are at an all-time high. However, when we talk about the art of bowling (especially fast bowling), we see ‘trends’ rather than paradigm shifts. With batsmen finding newer ways of sending the ball soaring over the ropes or being cheeky with their shots and using the bowlers’ pace to manipulate field settings, bowlers have had a tough time trying to keep them quiet. And while a bowler’s job is to take wickets, T20 makes the equation slightly more difficult for the faster men. This is where taking pace off the ball comes into the picture. There are several types of slower deliveries – offcutter, legcutter, seam up, back of the hand, slower yorker, slower bouncer, etc. But let’s talk about the latest darling of seamers around the world and a delivery that we have seen quite a lot of in this IPL – the knuckle ball. A term and concept borrowed from baseball, a knuckle ball (or knuckleball) in cricket is a delivery that arrives at a speed that is much lesser than a bowler’s average speed. This delivery has been around for donkey’s years (if you are to believe what the local club’s ex-cricketers have to say) but has suddenly become all the rage. So, what is the knuckle ball? Remember Zaheer Khan beating Michael Hussey to knock back his off stump in the ICC Cricket World Cup 2011? The seemingly innocuous delivery beat Mr. Cricket for pace and found its way through the gate. That was an excellent example of the effectiveness of the knuckle ball. How does the typical knuckle ball work? The bowler runs in with the ball like he normally does. There is no change in the run up, load up or arm speed. What is different is the grip. 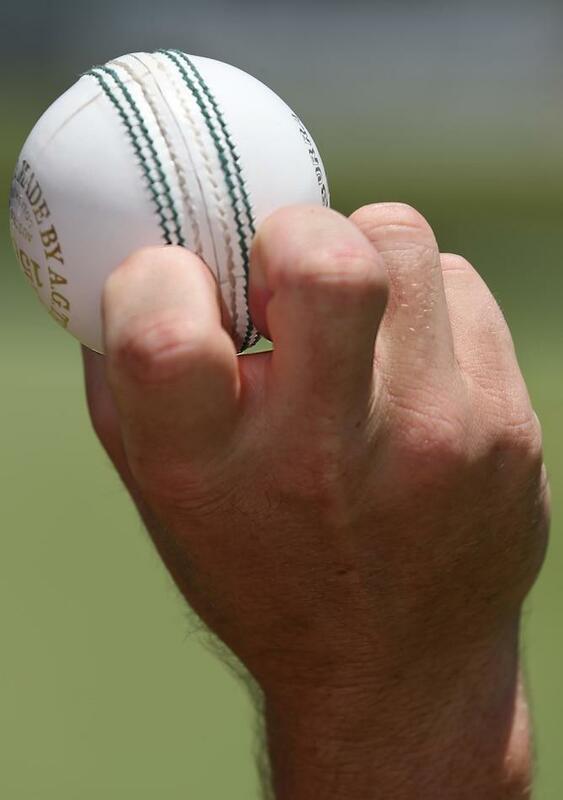 While seamers typically hold the ball with their fingers over the seam in an upright position (or with the seam slightly tilted / pointing towards the slips or fine leg), in this case, the ball is gripped between the thumb and the tip of the fingernails, with the ring finger providing support. Some bowlers prefer folding their index and middle fingers so that the fingernails are completely behind the ball. 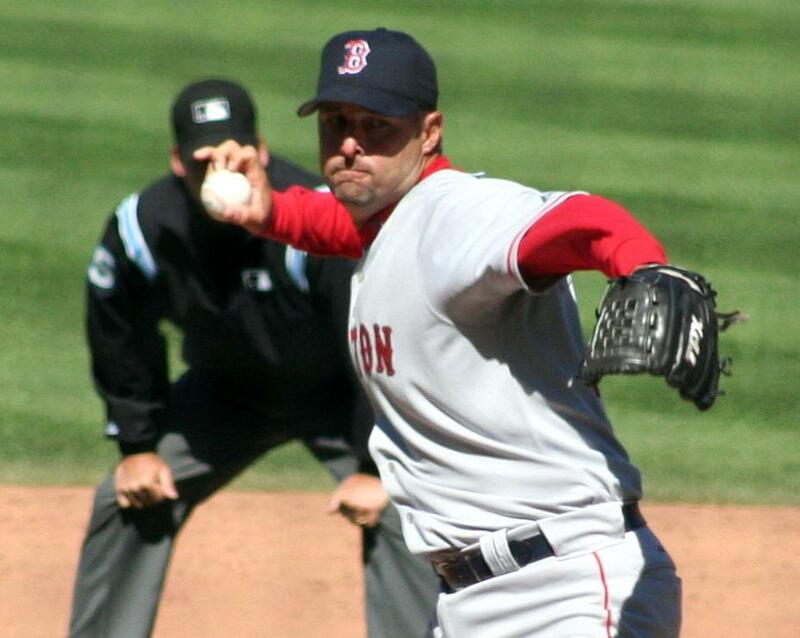 The thumb and seam position remain the same (like a regular seam-up delivery), but the tips of the fingernails (of the index and middle finger) behind the ball cause it to travel slower through the air and dip sharply. Essentially a slower delivery, what makes the knuckle ball so special is the fact that for the batsman, it looks like the bowler has released a stock seam-up delivery. There is hardly any difference in the release from a batsman’s point of view (unlike the offcutters and legcutters). Another advantage for the bowler is that the ball has negligible backspin (or rotations) and when pitched on a good length or even fuller, it dips unexpectedly, thus making it harder for the batsman to negotiate. What’s more, if it is swinging, bowlers like Bhuvneshwar Kumar have even bowled this at the beginning of an innings, making it wobble unpredictably. Bhuvneshwar, Siddharth Kaul, Andrew Tye, Shardul Thakur and several other fast bowlers have practiced for months and months to get their knuckle balls right so they can use this deadly weapon in crunch situations. Andre Tye’s use of this slower delivery in the KFC Big Bash League (BBL 2016-17) shot him into the limelight almost instantly. Bhuvneshwar has already caused enough damage with it in international as well as IPL cricket. The batsmen have been dumbfounded by the knuckle balls, especially when used cleverly and sparingly (like the Sunrisers have managed to do). The summer is about to get hotter and as we move towards the business end of the tournament, we can expect more and more slower deliveries and variations coming into play on sticky and tricky surfaces. The next time you are watching the IPL live on television or your favourite streaming application, watch out for the knuckle balls and make sure you take a close look at the bowler’s grip in the action replay. As a viewer, it is pretty easy to spot that magical knuckle delivery while watching it in slow motion! Additional note: The name ‘knuckle ball’ might seem a little misleading in this case, since the knuckles have no direct role to play here.